As part of the 2016 State Opening of The Scottish Parliament, MSPs were asked to invite their ‘Local Hero’ to take part in an historic Riding procession along Edinburgh’s Royal Mile. Local Heroes were nominated by MSPs from right across Scotland in recognition of their important personal contribution to the lives others. My Local Hero was Anne Marie Kennedy, from Barrhead, who has been a leading volunteer for 20 years across East Renfrewshire, and runs Community Transport East Renfrewshire (the Wee Red Bus) which enables older people to access health services in their area. I know of so many people across East Renfrewshire who have reason to be thankful for the “Wee Red Bus” run by Anne Marie Kennedy and her volunteer drivers. The service is there for anyone struggling to make an appointment with their GP, hospital or clinic and all on a voluntary basis. Anne Marie Kennedy is at the heart of her local community and deserves to be right at the heart of Holyrood’s opening ceremony celebrations. 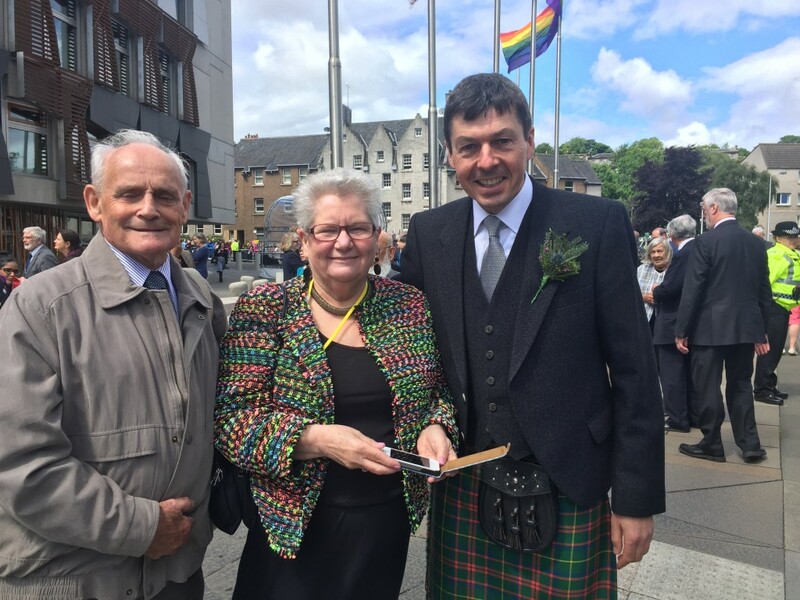 Anne Marie Kennedy was one of 128 local heroes who took part in the historic Riding procession along Edinburgh’s Royal Mile, which made its way towards Holyrood and the opening of the new parliamentary session.